March brings with it a feeling of springtime. Bright colors, lush greenery, and a sense of cheer that winter is ending seem to appear as soon as March rolls around. 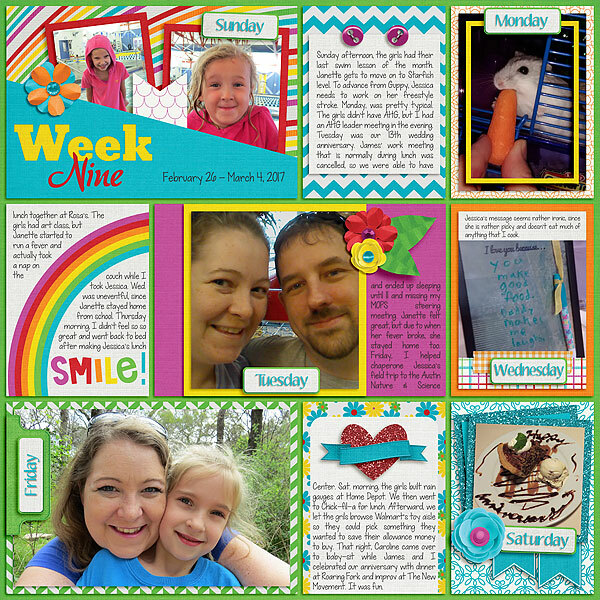 My Life… March brings the happiness of springtime to your scrapbooking pages. This adorable kit packs quite the punch, whether you’re telling everyday stories or celebrating St. Patrick’s Day. Bold yet airy papers add a punch of pattern to your layouts, while adorable doodled elements steal center stage. A cheerful leprechaun, shamrocks, and a rainbow with a pot of gold tip their hats to the biggest celebration of the month. 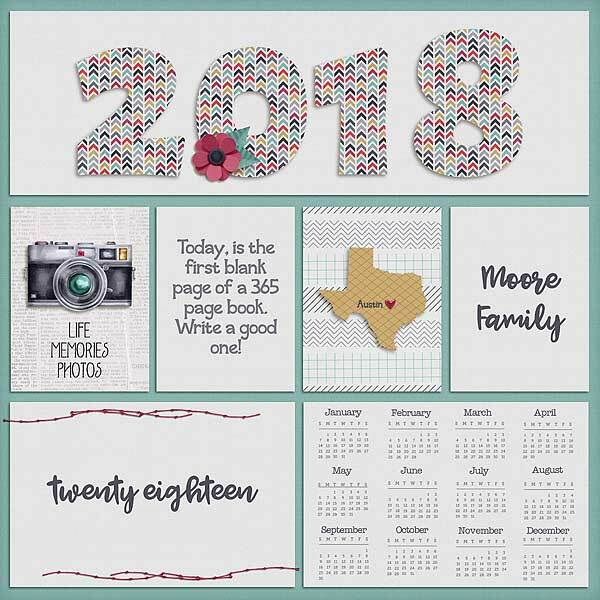 But those of you documenting the day-to-day have a lot to celebrate too: this kit is packed with journaling cards, banners, word strips, and accent elements for those little slices of life. Everything is brightly colored and ready to go, including the layered card templates and two fun alphas. If you need help getting started, My Life… March comes with a calendar and a quick page to help you get started on telling your stories. Celebrate the best parts of springtime’s arrival with My Life… March. This kit is on sale at both Scraps N Pieces and My Memories. 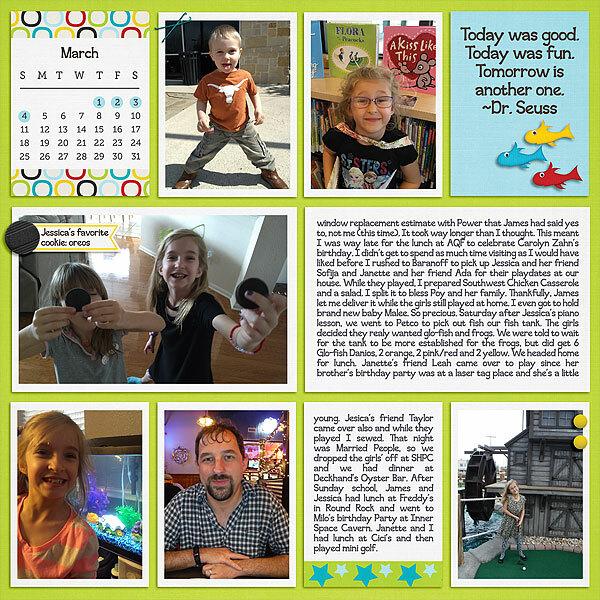 I have two layouts I’ve made so far with My Life… March. The first is for my P52 project, week 9. This year is already flying by. The second is from our recent Home Depot kids workshop. Journaling reads: Home Depot puts on great kids building workshops the first Saturday of every month that are free. 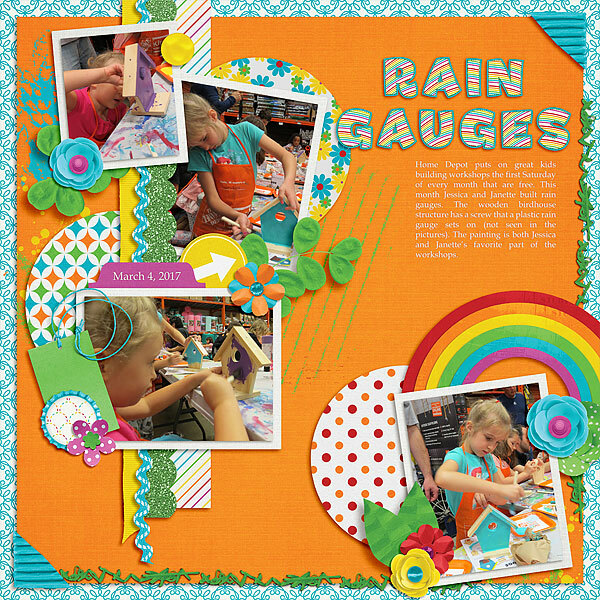 This month Jessica and Janette built rain gauges. The wooden birdhouse structure has a screw that a plastic rain gauge sets on (not seen in the pictures). The painting is both Jessica and Janette’s favorite part of the workshops. See what the rest of the CT has done with this kit. and here is the freebie! 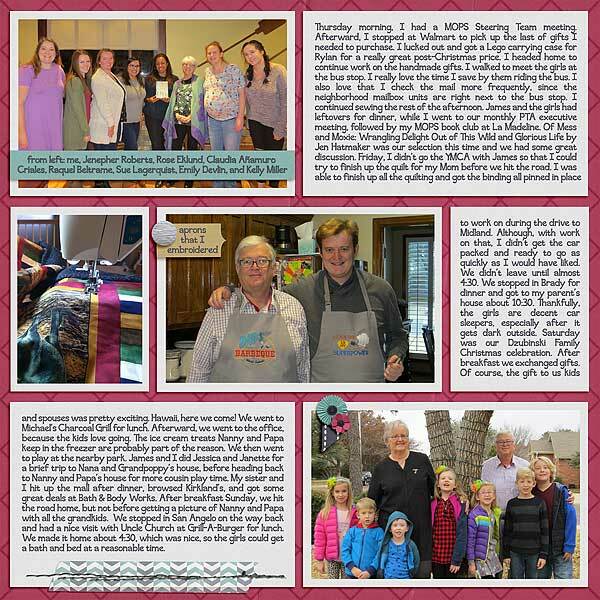 Love is in the air and hearts are aflutter as the calendar rolls over to February. Whether it’s a product of spending the winter snuggled close or the pull of Valentine’s Day, everything is red and covered in hearts. 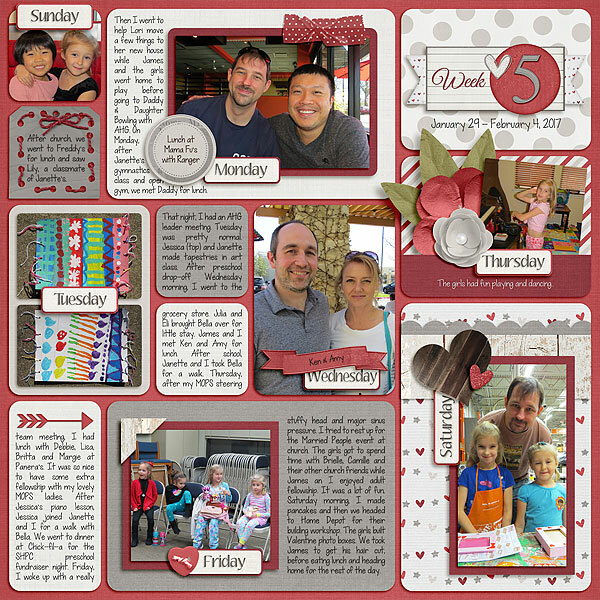 My Life… February, the latest kit from Scraps N Pieces, taps into this feeling so you can scrapbook everything you love this month, romantic and otherwise. Cute doodled papers add a pop of pattern to your layout, while bold red elements steal the show. 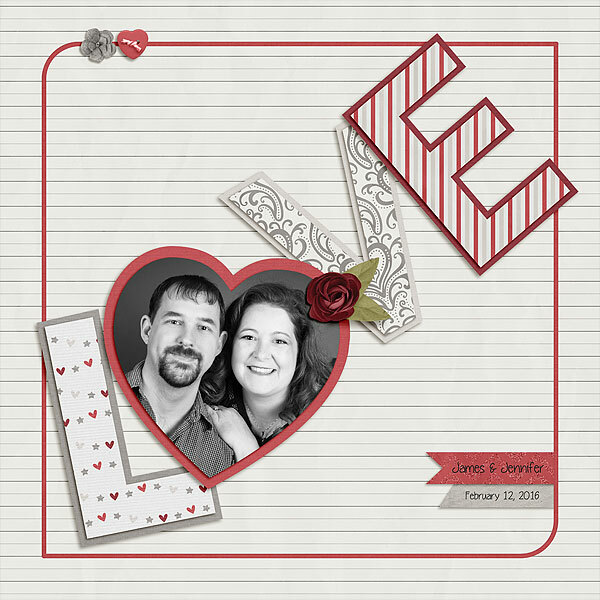 Featured elements include roses, hearts galore, ephemera, themed word strips, and a silvery alpha. This giant bundle is jam-packed with useable accents you can grab month after month, including journal cards (both plain and love-themed), red arrows, banners, and tabs galore. 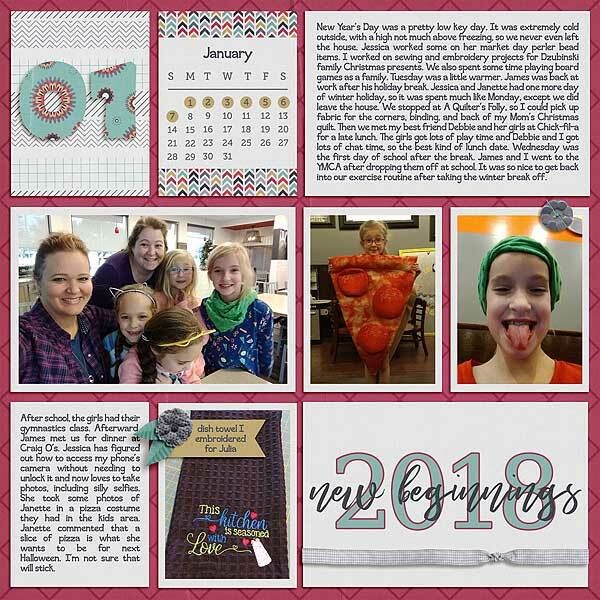 It even comes with a quick page and calendar template so you can spend less time scrapping and more time making memories. 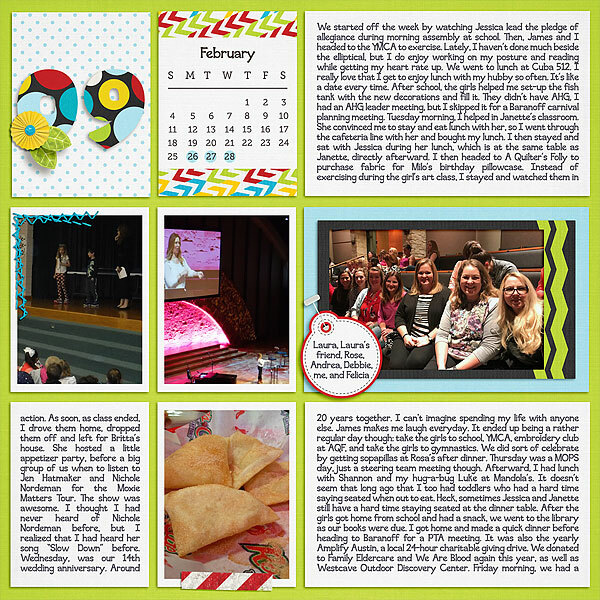 Scrap the stories of what you love most about this month with My Life… February. Products available at Scraps N Pieces and My Memories. The kit and the bundle are both on sale this week. I made two layouts. First up is my Week 5 layout. And then here is a layout of a pic from the Valentine’s Dinner at our church last year. Photo credit to Brandi Nellis Photography. The layouts from the rest of the CT with this kit are AMAZING! Check these out. We have two freebies for you this week. We have our date tags for those of you doing P52 projects, and another freebie for everyone! These are both included in the same download. See you next week for Heidi’s birthday release! Some people spend the winter bundled up in front of the fire, while others spend every moment they can playing in the snow. My Life… January makes it easy to document those cold winter days, however you choose to spend them. 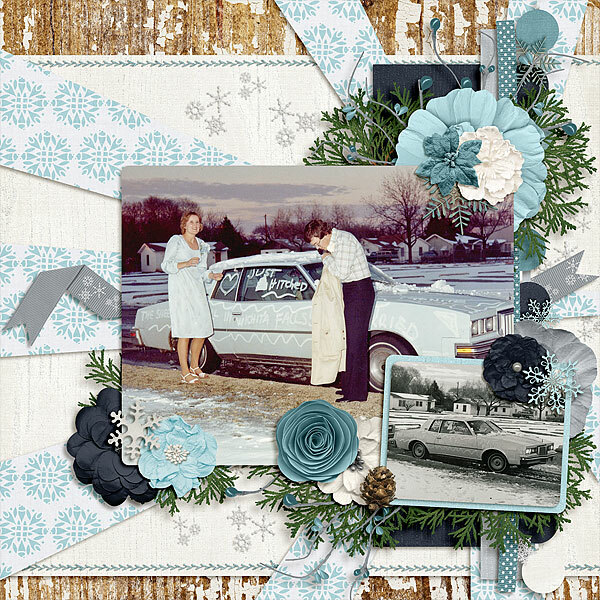 This cool-colored kit draws on snowy hues and textures for seasonally-appropriate scrapping. My Life… January is packed full of everything you need all month long, including playful patterned papers, adorable doodled elements, journal cards and tags galore, thematic word art, and a frosty wire alpha. Featured elements include mittens, a snowman, skis, a snowboard, ice skates, and snowflakes everywhere. There’s even a quick page and a calendar page to speed up your scrapping. So bundle up and enjoy all the fun this new year has to offer with My Life… January. I made two layouts. The first up is my week 1 for my P52 project. This year, I am going to succeed in completing it. The second layout showcases the fun snowy elements in the kit. It is my parents on their wedding day. 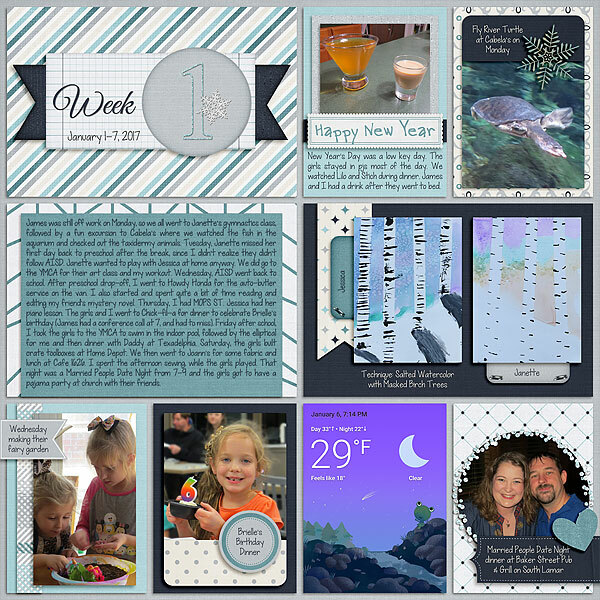 Amy Owens is a guest CT for this series this year and I am so excited to see her beautiful P52 layouts with these kits. Her P52 is always so inspiring to me. And here is the rest of the CT.
Lori and Heidi have a freebie for those of you doing P52 – weekly tags! The overlapping weeks will be available in both kits, so if you are using their February kit for week 5, it will be included in next months freebie as well. The freebies are available in their newsletters, so please subscribe if you aren’t already.